Alz Plz: Honey! I'm home. Yeeeeeap. That sums it up about right. 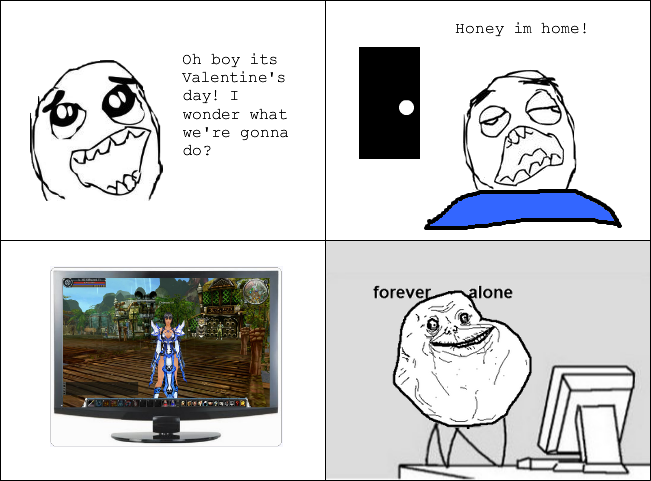 Pretty much my valentine celebration almost every year. I know for a fact that I am not the only one like this. And the sad part is... it's almost the same with all the other holidays for me! !